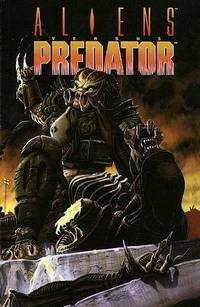 Following is a list of Predator books and comics, all chronologically ordered. Click on a title for a cover shot, review/outline, and other details. 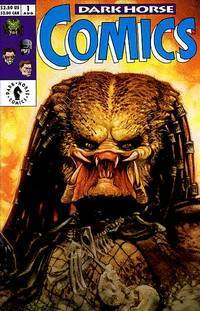 For a brief background on the Predator in comics and books, see Short Comics and Books history at the end of the page. Hunting the Heroes: The Predators Attack! Dark Horse Comics leased the rights for both Alien (1979), and Predator (1987) from owner Twentieth Century-Fox, aiming to create numerous miniseries about them. 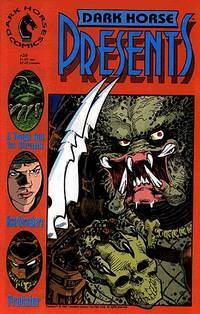 In 1989, Aliens appeared in Dark Horse Presents #34, Predators in #35, and finally pitted the two against each other in #36 - the idea coming from editor/artist Chris Warner. 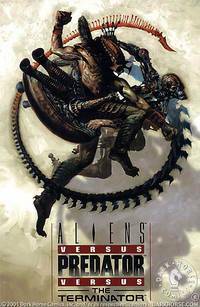 Dark Horse collected the three stories into their own comic, Aliens vs. 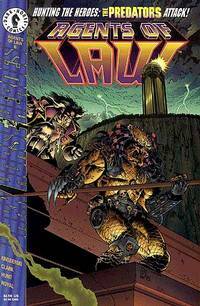 Predator #0 (1990), which led into a four-issue series by writer Randy Stradley and artist Phillip Norwood. That proved popular enough to be collected into the first Aliens vs. 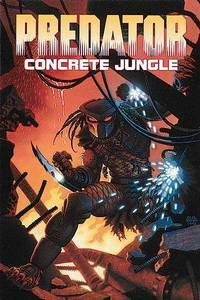 Predator trade paperback, which gave birth to the franchise. Before long, the two enemies found themselves in a three-way battle with Terminators, and another time including super-characters Witchblade and The Darkness from Image Comics. Most stories have been collected as trade paperbacks, but some Dark Horse volumes might be hard to find. Many are out of print, and Dark Horse are not permitted by Fox to reprint them, as Fox want the focus on the new film. But they can be found - www.darkhorse.com has many back issues for sale, and most bookstores and comic shops will have a few TPBs on hand. Also, Dark Horse has often teamed up with other publishers for crossovers - like Superman and Batman from DC Comics - and those publishers aren't under any restrictions. Bantam Books also got in on the act in 1994, with writers Steve and Stephani Perry adapting Aliens vs. 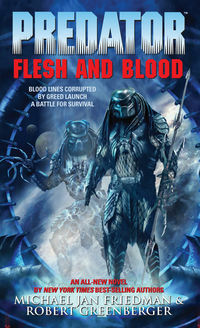 Predator: Prey into novel form, followed by S.D. Perry with AvP: War in 1999. David Bischoff added a sequel to Prey called AvP: Hunter's Planet in 1994, and a new author John Shirley brought us Forever Midnight in 2006. Steve Perry returned with a new novel in 2008 (titled Turnabout) and another novel South China Sea by writer Jeff VanderMeer was released just prior to 2009. With so much material available, it means that no matter whether it's the Aliens or the Predators who lose on the printed page, all of us fans are the winners! Enjoy Predator: The Hunted? Want to see it keep expanding, with new info and downloads added more often? Then please consider a donation - no amount is too small. Your help will ensure the growth and survival of the site, and you'll enter the Donator Hall of Fame, forever known as a true Yautja follower. Thank you!! Last modified 20th February 2011. Best viewed at a screen resolution 1024x768 or higher. Questions? Check out Joker's Homepage and you might find answers. Comments? Email me! This site is unofficial and non-profit, intended for film commentary only. 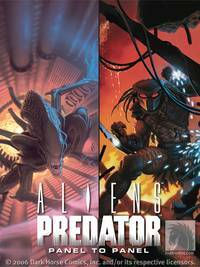 "Predator" and "Alien" films © 20th Century Fox, comics © Dark Horse. No trademark or copyright infringement intended.